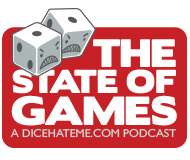 The State of Games, Episode 9 is fitted, fueled up and ready to fly. Time to kick the tires and light the fires! Can you all guess what this episode is all about? I’ll give you a hint – it’s not about motorcycles. It’s about making some money and playing some games. Awww, yeah. 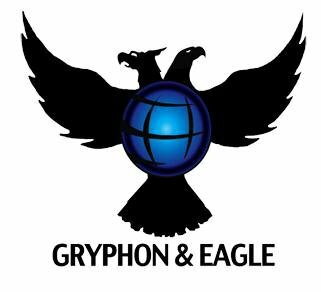 Gryphon & Eagle Games was awesome enough to sponsor this very episode, and for that we are grateful. But even without their sponsorship, Monkey238 and I would still stand 100% behind Alf Seegert’s The Road to Canterbury. Alf is not only a friend of the podcast, he is a friend of ours, and we have enjoyed his game designs immensely. So, if you haven’t yet backed The Road to Canterbury on Kickstarter, then what are you waiting for? Get thee to the pardoner! Your video for Road to Canterbury was what convinced me to chip in. Fantastic work. James – Thank you, that means a lot! And, as always, thanks for listening. Thank you for the excellent podcast Episode 9. I enjoyed hearing about Kickstarter. I don’t know about the “business” of producing podcasts works, but personally I would be happier if your podcast was broken up into smaller bits, instead of one long 48 minute block. I would have liked to skip parts of it, such as the information on Dark Horse, which is a euro game that I’m not interested in. So please consider breaking your podcasts into smaller bits. Great job, though! Really great episode guys, as always. One thing got me thinking: several times, you mention how open and receptive to player feedback the designers are, how they really want to give the players the game they (the players) want. It made me curious, because in most other mediums, I would see this kind of ‘design by committee’ as a negative thing — it is generally seen as having a diluting, homogenising effect. Is there, do you think, a case for designers simply saying, this is the game I want to make, take it or leave it? I can think of a few designers who fit this category, Mario Papini for instance, whose games Siena and De Vulgari Eloquentia are pretty idiosyncratic, and people tend to love them or hate them. Also Martin Wallace — Brass for instance has many quirks, things that might have been ironed out if thrown open to the general population of BGG. And yet, the games of both Papini and Wallace have a definite feel of the personality of the designer, and are richer experiences for it, IMO. Is there maybe a danger that this inclusivity might lead to games that lack personality? Dave – Thanks for listening, and for your comments. As for breaking the podcast down into smaller episodes, it’s not really the most effective method for our RSS Feed, or to channel into iTunes, especially if several “snippets” come out at once. I might consider an episode breakdown, with segments identified by time marks so that people could fast-forward, if they like. I might play around with that format in the next couple of months. Joe- Thanks! And this is a great comment, perfect for discussion. I guess I should first clarify – the comment about “giving the players the game they want” is more directed toward a game like Eminent Domain that had open playtesting before Kickstarter. Our mention of Don Lloyd and Louis Perrochon accepting feedback and making some modifications to their game were much more in the realm of making sure that certain mechanics are streamlined, or that the rulebook is understandable and succinct. We would by no means expect a designer who has worked hard on their project to change everything according to any player’s whim – that would definitely take away some of the voice of the designer. For instance, with Dark Horse, our feedback included a couple of changes for the action space names to reinforce theme, some notes on refining art (again, to reinforce theme), a suggestion to tighten up a couple of existing mechanics, and some rules clarifications that would be reflected in the rulebook. We really liked Don’s vision and his game – we only sought to improve it, not to change it. I think this is really the atmosphere that Kickstarter provides, for the most part. As for your example of Papini and Wallace, neither of them are rookies; they have a wide range of playtesters, as well as a clear vision and a methodology for refining the work. Quite a few designers on Kickstarter are fledgling designers and publishers, and I believe that asking for some helpful feedback from the gaming public can only help – as long as they are accepting that feedback with intelligence and wisely choosing what will make their game better, in the long run. I hope this addresses the point you were trying to make, which I agree with. Just as fans of a certain author wouldn’t want to rewrite a novel, we wouldn’t want to take the voice and personality away from a very personal game, but copy editing is perfectly acceptable. I like your copy-editing analogy, I think that’s spot on. I guess that’s it really, we’re talking about streamlining mechanics and rules, so it’s nut and bolts stuff, as opposed to artistic vision, that’s being messed with. I also think that it has to do with the relative popularity/ubiquity of the ‘artform’. If you threw a movie or novel out to an audience and said ‘make it better’, you’d be dealing with a huge range of opinions from a wide spectrum of people, who may have no ‘expert’ knowledge in the field. With boardgames, particularly on something like BGG, we’re a self-selecting group of experts (granted most of us experts in playing rather than designing games) by virtue of the fact that we’re fascinated by the games. So by requesting feedback from BGG users, you’re going to get what is for the most part very informed opinion, not just a bunch of schoolkids saying ‘needs more explosions’. I think that is so cool that you help out all us little guys by promoting kickstarter. 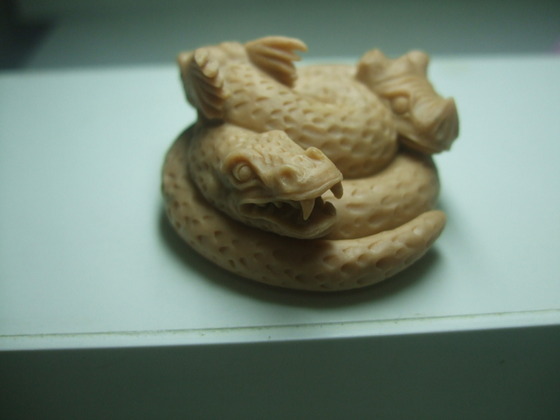 Kickstarter has definitely helped us improve our game (Kingdom of Solomon). The rule book is being updated as we speak. Our board design is slowly transforming into something more people will enjoy. And, most importantly, objectionable material has been identified and removed (altered, you might say). While all this feedback and editing has resulted in lots of tweaks and even more substantial changes, my core design and vision have remained constant throughout. It’s great being able to get such powerful feedback BEFORE the game is printed and released! As always..great podcast…You guys got me thinking..if the kickstarter project is like 2-5K, what will thwe game quality be like? if it’s 20K+ is it worth it? is it really a big game with awesome components or is someone just trying to get a few extra bucks? And Hey Monkey…Sorry your not going to Origins with the Hubby. Maybe you can 1 up him and go to GenCon without him? Fourth and Fifth Dice age tournaments ever at Gencon, Indianapolis.